The country has very few living World War II veterans, but are we doing enough to make sure their stories are not lost? 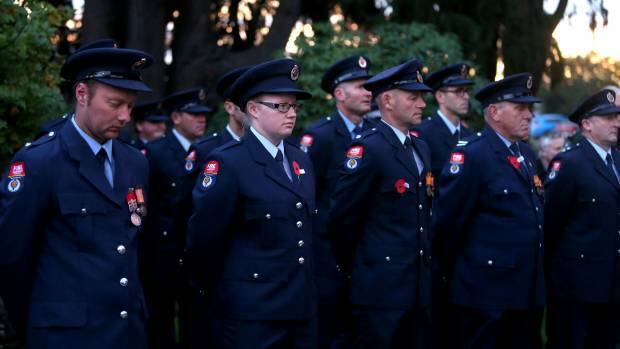 Armed police stand guardian around a crowded Invercargill Cenotaph. ''I was certain the last breath was right there.'' World War II veteran Bill Roulston. "To keep your country, you have to be ready to fight.'' World War II veteran Fred Cooper. A man of many talents, Bluff's own George West was destined for great things when his life was cut short. Pilot remains in hospital while the two crewmen have been discharged after helicopter plunged into Southern Ocean. Helicopter company boss Sir Richard 'Hannibal' Hayes feared the worst as he flew to crash scene. The three men who survived 'would have been concentrating on getting ashore and staying alive'. This is the moment the three men who were found alive on a beach arrived at Southland Hospital after their ordeal. Police are investigating an early morning blaze that left three vehicles damaged at an Invercargill garage. Chopper crash survivor's father says "miracles don't happen" – the group's skills saved them. Experienced pilot Sir Richard 'Hannibal' Hayes found three men who survived the Auckland Islands helicopter wreck. "It's the first time something like this has happened to this scale," Reverend Jacob Thevasahayampillai says. Louies owner Mana Davis believes Invercargill needs more smaller boutique bars to revive its nightlife. 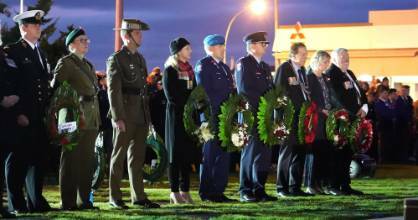 0 min ago The Otautau Anzac Day service marked the return of an important piece of war memorabilia. 11:56 AM It's good stuff, but the Invercargill RSA is careful how much it reveals about its fortified Anzac Day coffee. The fate of 579 much-needed Queenstown homes hangs in the balance as residents fight for traffic improvements. Southern District Health Board and a contractor fined more than $500,000 after worker's arm was crushed in an X-ray machine. A once controversial plan to build a large hotel development in Queenstown is winning fans, but there are warnings NZ's hotel industry could be in for some pain. Corey Mennell is Southland's top apprentice. It's 150 years since Southlanders decided to set up a building society. Now it's a bank with a back story that makes it an international rarity. OPINION: Winter is coming. The Government has new rules to ensure all rental homes are warm and dry. OPINION: Southern musicians need more venues. OPINION: The cost of housing has to be addressed. It just does. OPINION: It was an intense task. But necessary. Proof, if proof were needed, that Invercargill's Civic Theatre is big enough to swing a cat. Or 16 of them. The year 1969 is known as the summer of love, and it's also the year an Invercargill covers band began to leave its mark on Southland's music history. Damian Rowe reports. An innovative art project will see beehives painted by artists auctioned off to raise funds to help control wasps. Janice Gill brings a strong social conscience to her paintings, and only manages to make one a year. Police say inquiries are continuing after three alleged poachers were discovered on a Northern Southland station. Heat pumps or central heating?